Is it possible to determine the exact date and time (if possible) of creation of an Apple ID? Is there any official or unofficial way to establish this if you don't have the initial sign up information recorded? 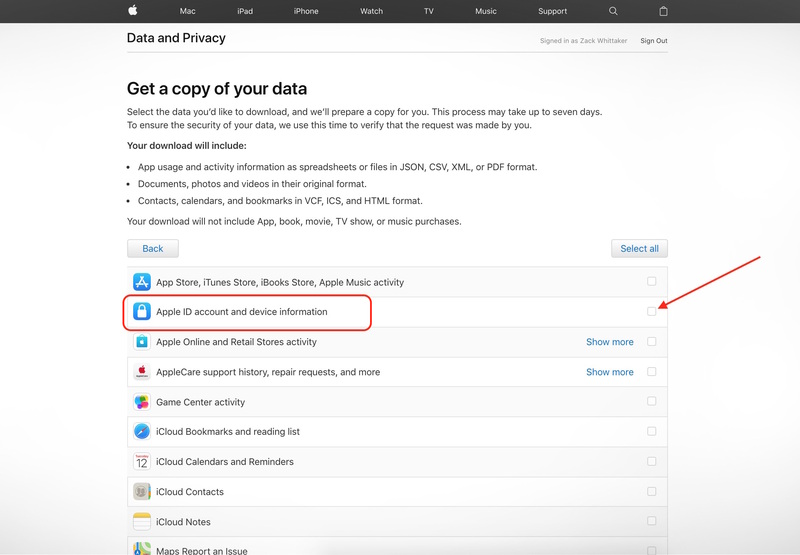 You can request a copy of your data that Apple has (Apple ID account and Device Information) by visiting https://privacy.apple.com. It can take up to 7 days to prepare the report and you will have up to 14 days once it's ready to download it before it's deleted. You will need to login with your Apple ID, password and two-factor authentication token. You will be able to select what data you wish to download. When you Receive your report. My report came in 4 days after the request. 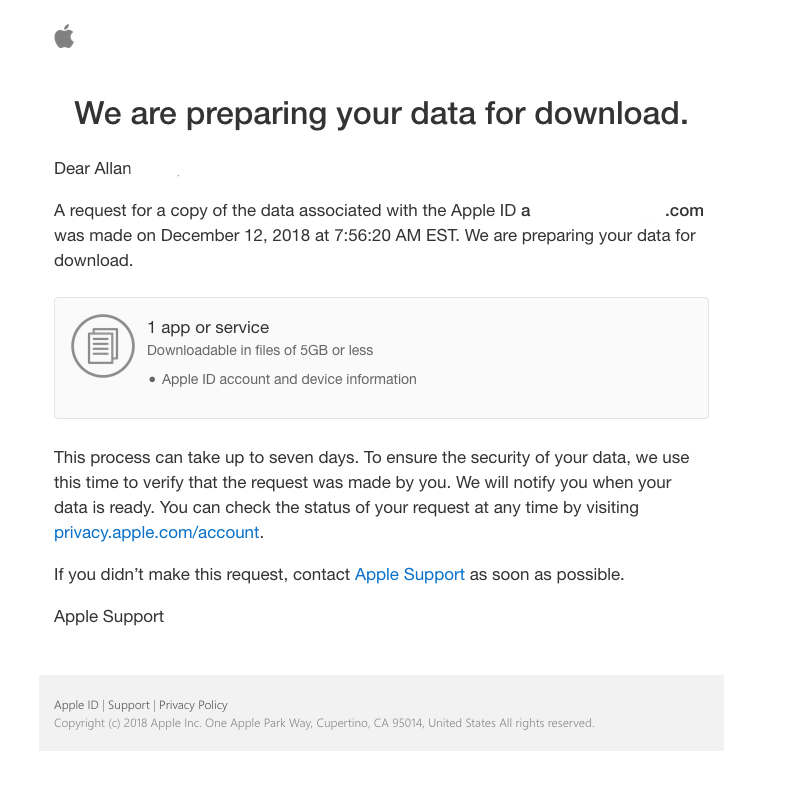 It was an email message that takes you to a secure Apple website (you must authenticate) and will allow you to download your report. There were 3 files in mine. The Apple ID & Account Information.csv is the file of interest. 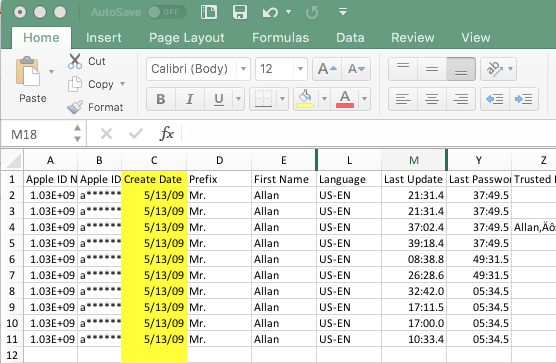 After opening it in your application of choice (Excel or Pages is probably best), you will find a "Created Date" for your Apple ID in chronological order. So, looking at mine, my ID was created 5/13/2009 (not the actual date, I changed it for this answer). It includes the time as well; select the cell to see the time stamp. Why so many entries? Everytime you update something, your address, your credit card info, your sharing, etc. it creates an entry. So, you may see many entries for the same Apple ID. This report will provide you with every bit of information with respect to your Apple ID account info from creation to the last update. A lot of columns were hidden for privacy, but I encourage you to explore the report(s) to see what data is collected. An indirect way is to search your email archive for messages from appleid@id.apple.com asking for verification of the email address you gave when creating the id. As far as I know you can't. You can log into your account via the Store > View Account menu option and see what the earliest purchase that shows on the account is, that should give you a rough idea of the date, but I don't that there is anywhere that you can see the actual date. I don't think there is a way to find that out. However, you can find the date of the first purchase you made with the ID: Store > View Account, and look at the end of your Purchase History to find the oldest item. What happens to questions on the Apple Support Communities website when you delete an Apple ID?